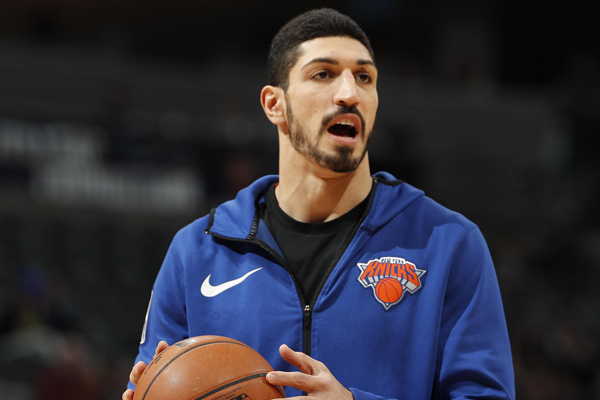 The Turkish government is seeking an international arrest warrant for New York Knicks’ Enes Kanter, accusing him of being part of a terror organization. Sabah, a Turkish newspaper, stated that prosecutors in the country have prepared an extradition request for Kanter. Kanter has been an outspoken critic of President Recep Tayyip Erdogan, and the extradition request is based on his ties to preacher Fethullah Gulen, who has been blamed for a failed coup in 2016. They are accusing Kanter of providing financial support to Gulen’s group. Turkish officials have also put out an Interpol Red Notice, which is “a request to locate and provisionally arrest an individual pending extradition.” The notice would not require the United States to comply with the request. He also refused to travel to London for a regular-season NBA game, saying he feared he could be assassinated for his opposition to Turkish President Recep Tayyip Erdogan. Kanter’s Turkish passport was revoked back in 2017.